Photos capture the precious moments of our lives. 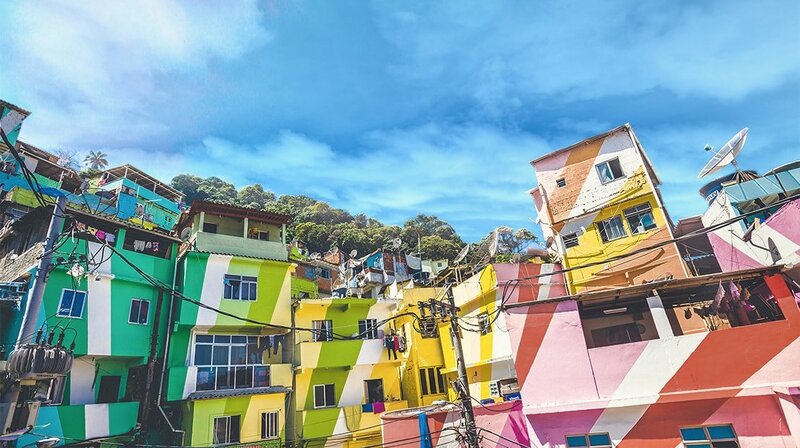 Unfortunately, it’s not easy to take high-quality pictures on the first try – it’s not often that you actually want a random passerby or a misplaced finger to feature in your photos. And you know that good lighting would really enrich the colors in your pictures. And then there are the photographs that tend to fade and yellow with time. To fix these problems, you need Movavi Photo Editor for Mac – a simple program that’s equally good both for beginners and professionals. 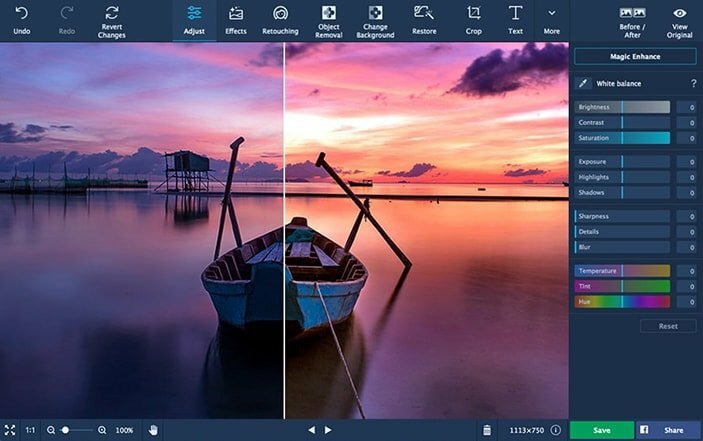 Don’t waste your time trying to figure out how to use complicated desktop applications for photo processing. 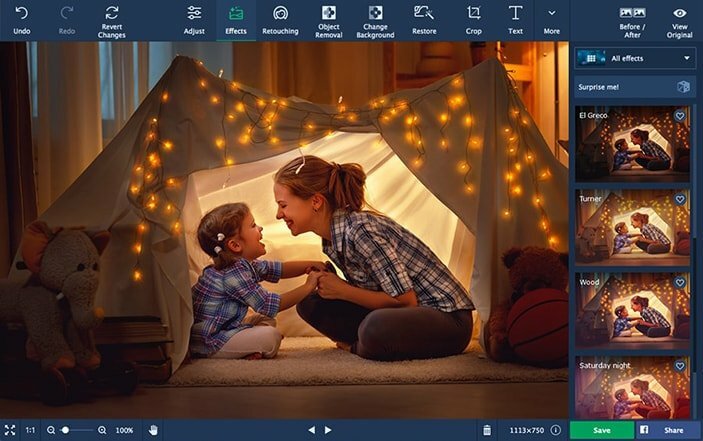 Download our easy-to-use photo editing software for Mac: it will enhance your images faster than many other image editing apps! No need to avoid shooting photos in crowded places. Take photographs wherever you want and then just remove unwanted objects, random people, trash, or bad graffiti from your digital images with Movavi’s photo software. The Object Removal tool uses great care to cover all those little flaws in just a couple of minutes! 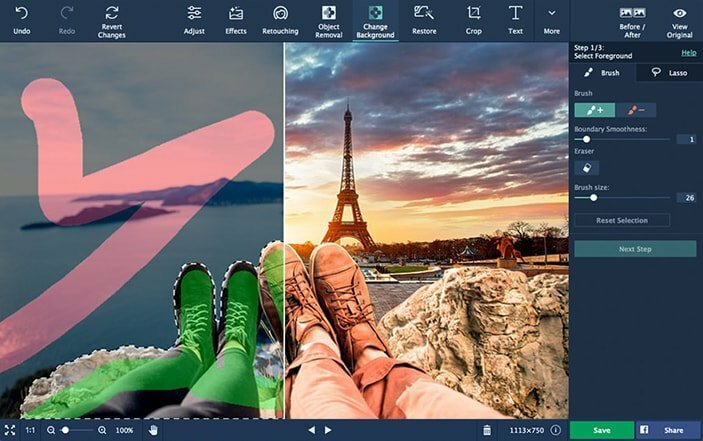 Download Movavi Photo Editor and check out all the features of the program. Is overcast weather dulling down your photographs? Don’t panic! Mac Photo Editor will automatically amp up the brightness and contrast in your image at the touch of the Magic Enhance button. You can also change the settings manually to achieve the desired effect. See how the image adjustment works by dragging the slider under the picture. 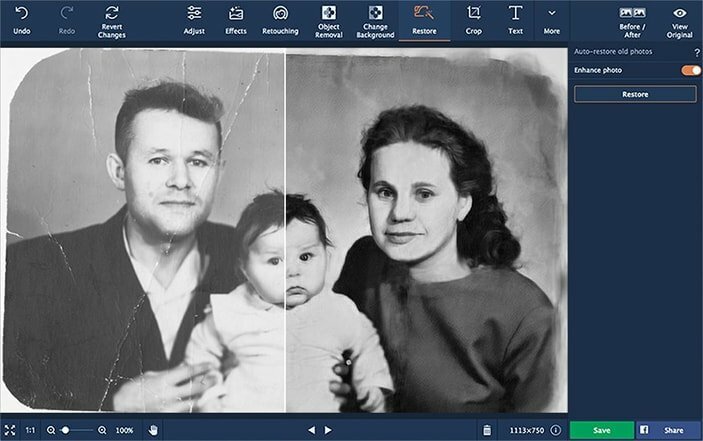 Looking for a way to restore photos taken decades ago? 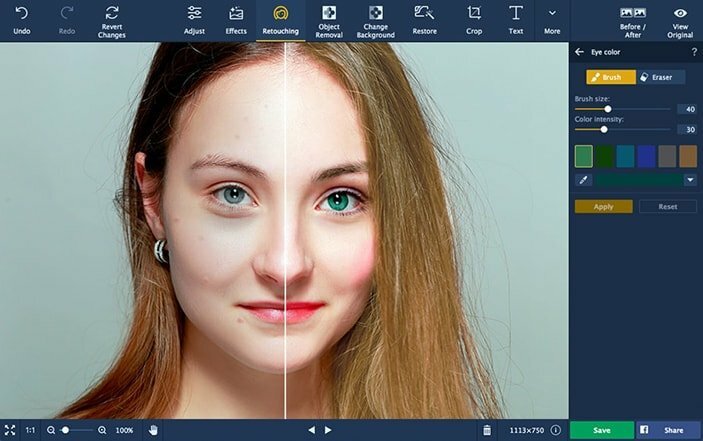 Movavi Photo Editor with its advanced image editing tools quickly removes fold lines, scratches, stains, and other small defects from old photographs that you’ve scanned. The program uses a smart fill algorithm to analyze and repair parts of the image that have suffered from aging. Just click the Restore button and wait for the image editor to do the photo processing for you! Professional photo retouching can be easy and fun. What’s more, it’s affordable with our user-friendly photo editor for Mac. Try new makeup or dye your hair. Remove skin blemishes or slim down your face. Get a Hollywood smile with the Teeth whitening tool. The only limit is your imagination! Adjust the lighting in images. Make the photos in your library look natural. Apply a range of creative and subtle filters to create different looks. Insert captions and titles, add decorative elements. Adjust clarity in blurred images and bring out textures. Remove blemishes, smooth out wrinkles, get rid of shine, and correct red-eye. Improve composition, straighten the horizon, shrink images for the Web. Make your colors richer while keeping skin tones natural-looking. Airbrush digital eyeshadow, mascara, and lipstick onto your portraits. 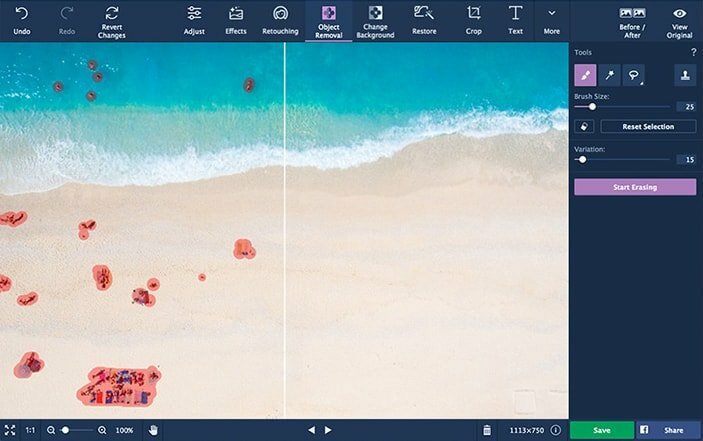 Combine images and image elements to make collages. Use presets to reduce digital noise in low-light photos. Alter face shapes and silhouettes, sculpt noses, enlarge eyes. Replace the background, make it transparent, or set any color as the new background. Looking for a quick and easy way to edit pictures? Install Movavi Photo Editor on any Apple personal computer compatible with Mac OS versions 10.7–10.13, for example, OS X Lion, OS X Yosemite, OS X El Capitan, macOS Sierra. The app is so easy to learn that you don’t even have to know the basics about how to edit photos on Mac. You can get to work on your MacBook Pro or Mac mini right away. * Unfortunately, correct processing of large image files with dimensions greater than 6000×8000 pixels cannot be guaranteed. Stay tuned to our social media channels for the latest updates and special offers! Subscribe to our YouTube channel for video tutorials and fun contests.